Hi everyone! 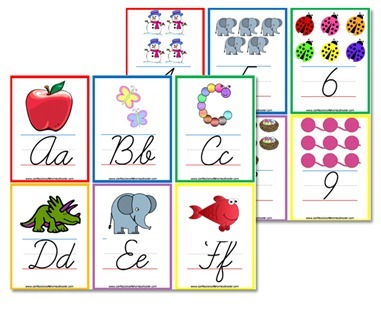 I’ve had many requests to add some printable alphabet flashcards to my Letter of the Week preschool curriculum, so in response to the demand…voila! 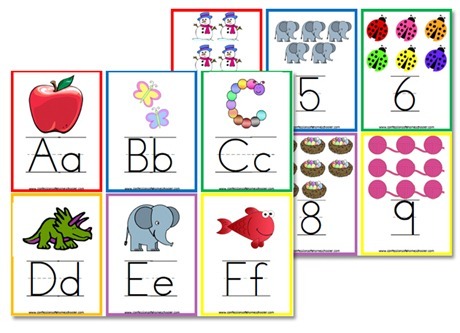 NOTE: Because I know that there are a lot of teachers out there using my preschool printables, the last page includes the Letter “J” for Jelly Bean cards for those of you who are not at the liberty to use the J for “Jesus” cards. P.S. 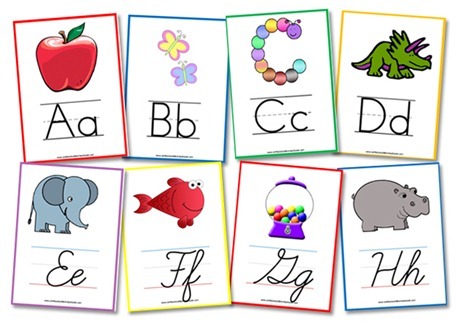 If you downloaded my Letter of the Week curriculum after 8/22/12 the alphabet flashcards are located in the “Lessons” folder in your download. Thank you so much! I just started your Letter of the Week program with my 3 year old son and he is loving it! Thank you for so generously sharing all of your fantastic materials! You are an inspiration to me! I love so many of your ideas, Erica, and really appreciate your willingness to offer them to your readers. Any chance you could add the modern manuscript/D’nealian stlyle printing to your designs? The natural way it leads into cursive has made transitioning so easy for many students. Thanks for being a channel for the Creator to flow through! HOORAY!!! They’re beautiful and just PERFECT!!!! Thank you so much for all of your materials! Thank you so much. I have been using hand-drawn cards. This will make it much more interesting for my little guy. Good resource. Thanks for sharing. Is there any way that you can make the 5×7 cards so that i could have them printed at a local or online photo place? that way i wouldn’t have to cut out and laminate them. not sure how you would do that though…maybe you have ideas? a zip file of each 5×7 image maybe? Awesome…everything you create is with such excellence! !